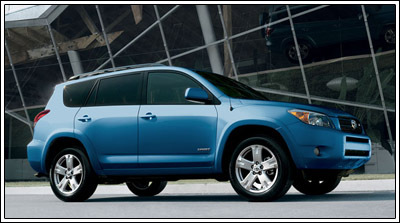 Apparently GM is going to bring back the Nomad nameplate for Chevy, rebadging the GMC Acadia. Let's see, that would mean the same vehicle would be sold by GMC, Buick, Saturn, and now Chevy. Hell, let's bring out an Oldsmobile version while we're at it. 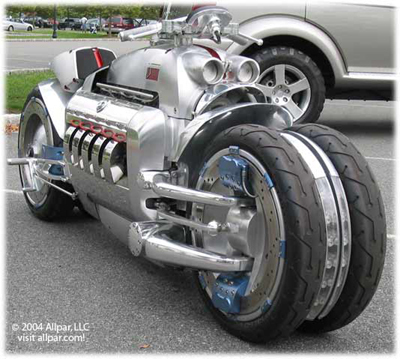 There should be ONE version of this vehicle, not four. And what's up with a GMC version, I thought Buick, Pontiac, and GMC were supposed to be semi-merged, what's the point of having two of the same vehicle in one dealership? Turns out there's a bit of a history behind the Tomohawk that not many people know about. 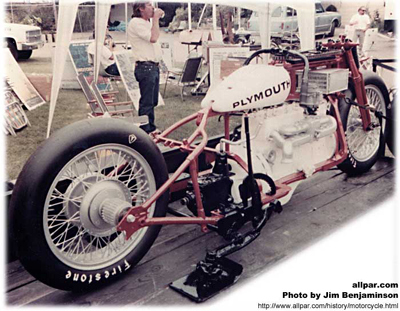 Once upon a time, 1934 to be exact, Plymouth supplied one of it's six cylinder engines to Fred Luther, a Californian attempting to break 300 mph on a motorcycle. The full story is at Allpar.com. With the fate of Chrysler now hanging in the balance, it would be a shame to see a company with such a rich history go the way of so many before it. I don't care what you think of Ferrari, this commercial is an auditory work of art! Makes me wanna go for a drive. Take one knife and one drift car and what do you have? Why, a cucumber slicer, of course. I bought a car today, one that was new when I was 8 years old. 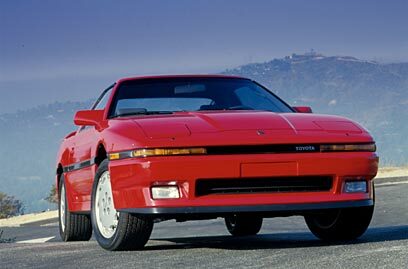 A 1979 Mazda RX-7 is now part of the Ride's stable of fine automobiles. 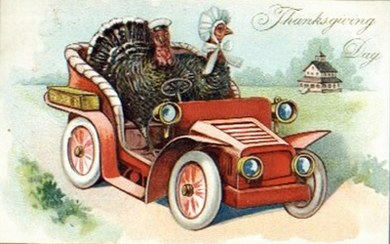 Hmm, a rotary powered automobile, and carburated too, how interesting! 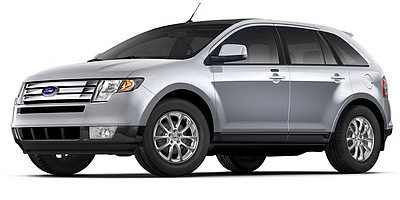 Here's Ford's new Edge CUV. It's handsome as far as SUV's go, and I hope it's a success for Ford. 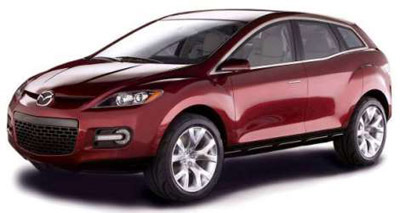 Of course, it's really just a Mazda CX-7 in Ford duds, but at least it's not immediately apparent that they share platforms. The only thing that irks me about the Edge is the weight. This thing is carrying around 600 more pounds than the CX-7. Six hundred pounds! It's got a more powerful engine than the CX-7, but because of the extra poundage it's actually slower, and gets worse fuel mileage too. Hell, it weighs more than the Freestyle, a larger vehicle. It would have been nice to have the Ford be the better vehicle, in performance and economy, but it looks like Ford engineers just weren't that clever. 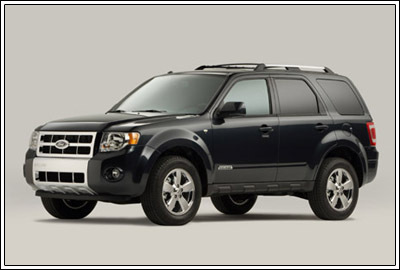 Ford's done a restyle on the 2008 Escape, and it's less than impressive. 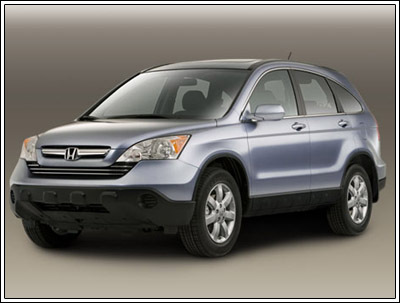 I guess this would be enough if your competition was standing still, since it looks an awful lot like the 2006 Honda CR-V.
or juggernaut Toyota's new RAV4. Once again we find Ford at the rear of the class when it comes to cutting-edge design, something that used to be Ford's turf back in the 80's when Honda and Toyota were making little boxy sedans. Wikipedia article on Asuna, a short-lived GM brand that sold a rebadged Isuzu Impulse as the Sunfire. 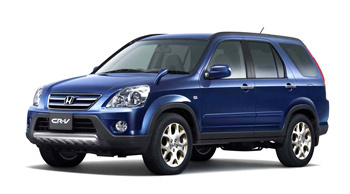 IsuzuPiazza.com, a forum for owners of Isuzu Piazzas (the Impulse in the USA). Isuzone.org, another forum for Isuzu Impulse/Geo Storm owners. "We were in love with speed,"
There's sportbikes, standards, and streetfighters, but my fave style of bike has got to be the cafe racer. Wonderfully minimalist, they sum up the essence of speed in a way few machines achieve. 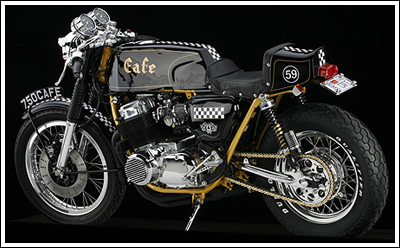 Check out this article for a short history of cafe racers from Cycle World, and then visit Steve "Carpy" Carpenter's site, cb750cafe.com to see more of these beautiful machines.